Today, is the first “official” day of Jade Helm. This is beginning of the Great American Purge. Since mid-March, I have written over 100 articles, have done 85 interviews and I have also interviewed such notables as Steve Quayle, John B. Wells, Paul Martin, Doug Hagmann and former Army Special Operations Officer, Scott Bennett. and it now time to to recap what I have learned in this time. For the past three years, I stated that a precipitous false flag operation(s) would take down the American economy necessitating the need for martial law. However, I have always been quick to point out that martial law was merely a means to obliterate the Constitution so the American people would be powerless to refuse to fight in the megabankers final war of economic and political unification as well as having that war to serve as an instrument of depopulation. When it comes to Jade Helm 15, the administration and their disinformation minions would have us believe that the entire sum of the operation would involve less than 1,200 personnel and only take place in seven states. By the end of March, those who were honestly reporting on Jade Helm knew that both of these statements were a lie. Jade Helm was only supposed to be in 7 states. Please note that millions of Americans were declared to be “hostile” in the map announcing the formation of the drill as Texas, Utah and part of Southern California were declared to be hostile to some unidentified entity that would warrant the largest martial law drill in the history of the country. Also on March 27, we witnessed waiting white vans designed to transport these (actors) political dissidents to their new residences at the nearby FEMA camps. These van have also been seen traveling through select neighborhoods through out the country. This political extraction drill, held in Ft. Lauderdale, FL. exposed to two lies: (1) Jade Helm was not supposed to start until July 15 and (2) Jade Helm was only in 7 states. Florida was not on the original Jade Helm maps and documents. It was on March 27, 2015, that I knew that America had a big problem and reported that fact on the Fox News Kate Dalley Show and to a Houston radio station on that date. When I discovered that Special Forces from every branch of the military were involved in Jade Helm along with conventional units, such as the 82nd Airborne, it sent chills up my spine. First, I learned from my sources that this is the first time that conventional military forces have trained in an interactive manner with Special Forces. This revelation opened up the floodgates and I heard from former Navy Seals, Army Rangers, etc., who were now very concerned about Jade Helm, when before they thought this was just another conspiracy theory. 1. Extraction or assassination of political dissidents (a hallmark function of Special Operations forces). 2. The imposition of martial law. There is a pseudo-journalist with ulterior motives from Big Spring, Texas who would have the public believe the laughable tale that Jade Helm is only in 7 states and less than 1,200 personnel are involved in the entire drill and that nothing, whatsoever is suspicious is going on at the Walmarts that were allegedly closed for plumbing problems. Yet, I was fortunate enough to have on the ground observers and reporters, such as Marlon Brock, also from Big Spring, TX., who brought another level of integrity and accuracy to the reporting on the duplicitous involvement of Walmart’s involvement in Jade Helm. Marlon sent me a number of stunning photographs from the Midland, Texas Walmart. 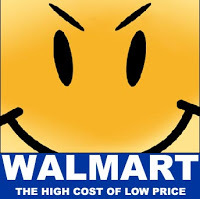 Remember, Walmart was only supposed to be closed for six months for plumbing problems. Marlon Brock exposed how far along the fixing solving of these plumbing problems have progressed. I would guess that in the Midland, Texas Walmart that they solve their plumbing problems by hauling all of the shelves from the store off the property. Strange way to fix plumbing isn’t it? Marlon Brock also exposed the existence of the under the radar private security firm, who has done work for DHS, which was providing security at the Walmart in Midland. Must be pretty important plumbing. 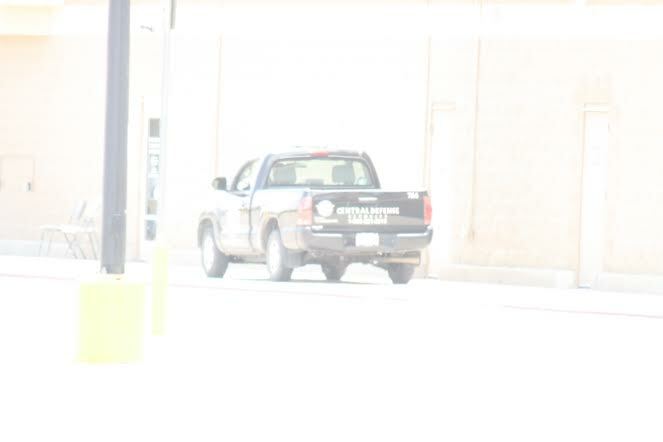 One can clearly see “Central Defense” on the vehicle providing security at the Midland, Texas Walmart. I also had an insider come forward who was working inside of the Midland Walmart who said they were installing TSA types of security measure and they were changing the ventilation system. 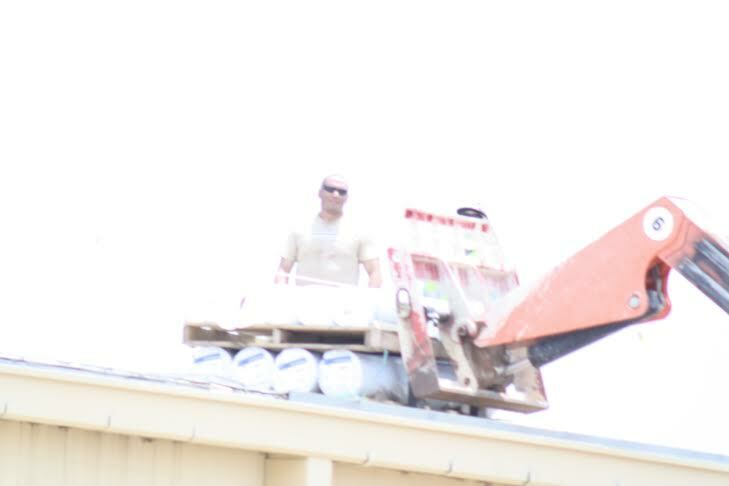 Again, Marlon Brock caught the work on the ventilation system from the roof. Since when do you fix plumbing from the roof? Pseudo-journalists aside, with ulterior motives, people from the same community have very grave concerns about Jade Helm and for very good reason. Look at the following images. This is what martial law looks like and the media in Big Spring, Texas captured this important moment in history. 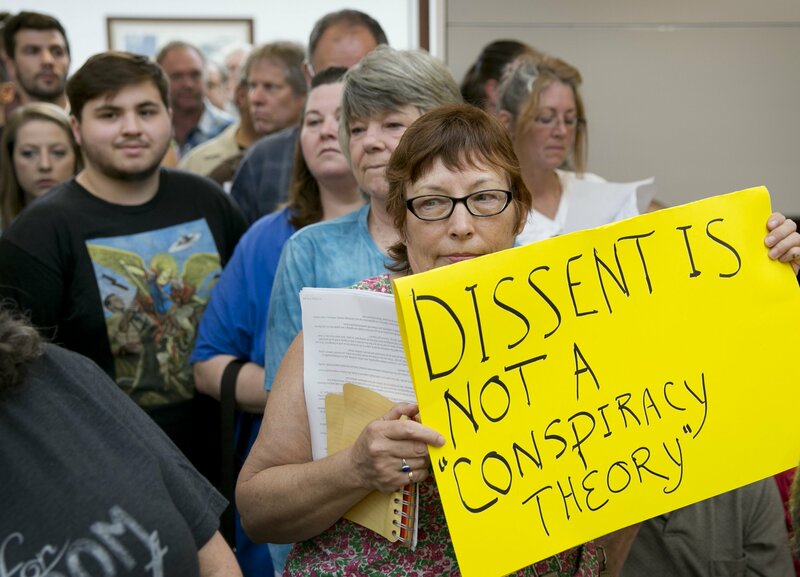 Even the locals in Big Spring, Texas are highly concerned as they chastised their County officials and city council for taking DHS/DOD payoffs to allow their communities to be abused in the upcoming months. 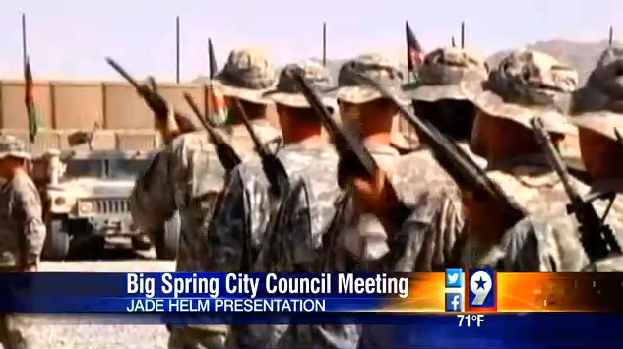 Citizen discontent over Jade Helm. Even the governor of Texas got involved on the people’s side as he promised to monitor Jade Helm for signs of abusing the constitutional liberties of the people of Texas. Texas Republican Gov. 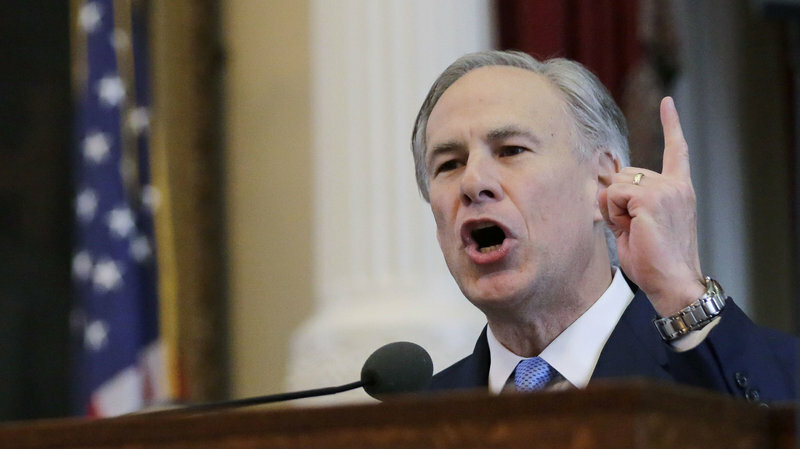 Greg Abbott ordered the Texas National Guard to monitor a joint U.S. Special Forces training taking place in Texas, prompting outrage from some in his own party. Did you see this story on Fox and Friends? In a stunning discovery, it was quickly made known that the Jade Helm map was an identical match for a MECHA and their proposed breakup of the United States by giving away seven states and expelling all people from a European background in something called Reconquista de Aztlan. 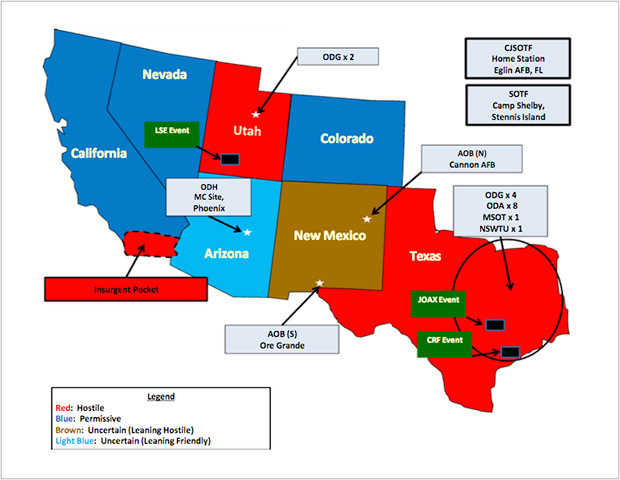 Take note of the seven states connected to the announcement of the Jade Helm drill. 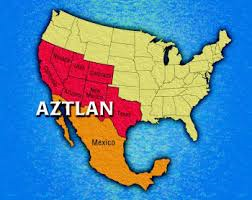 Note the identical match between Jade Helm and the proposed Aztlan map. 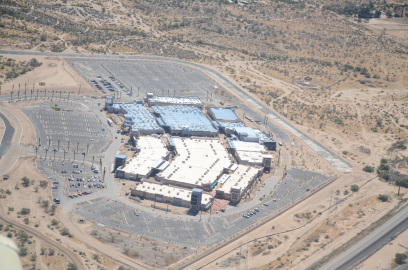 ISIS base camp, eight miles from El Paso Texas. Source: Judicial Watch. Long before the July 4th revelation that ISIS had a presence in all 50 states, thanks to Obama’s border policies, Judicial Watch discovered official documents which clearly showed that ISIS is maintaining a base camp eight miles from El Paso, TX. The implications are far-reaching and ominous. It looked like discoveries such as the ISIS base camp. and the potential threat to American targets such as the PANTEX nuclear facility led to the deployment of these missiles designed to bring down low-flying aircraft on suicide missions. These are high resolution photos of the SAM missiles, that many say do not exist. 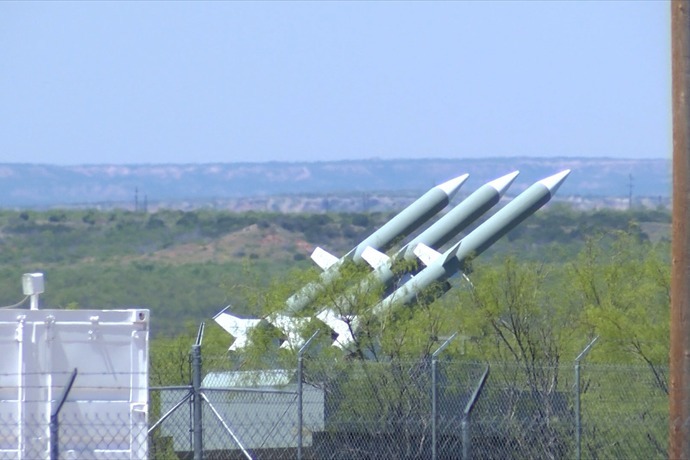 These missiles are located 45 miles southeast of Lubbock, TX and were originally photographed by Texas resident, Travis Kuenstler. These photos will soon be back in the news at The Common Sense Show, as we have just learned that this represents World War III preparations and the countering of the ISIS threat on or southern border. Not a day goes by that I do not receive photos from citizen reporters who are concerned about the scope and size of the military movements going on across this country. From low flying helicopters to massive trains carrying military equipment to drills (Ft. Carson) involving record numbers of troops are constant in their occurrence and the scope of the operation. 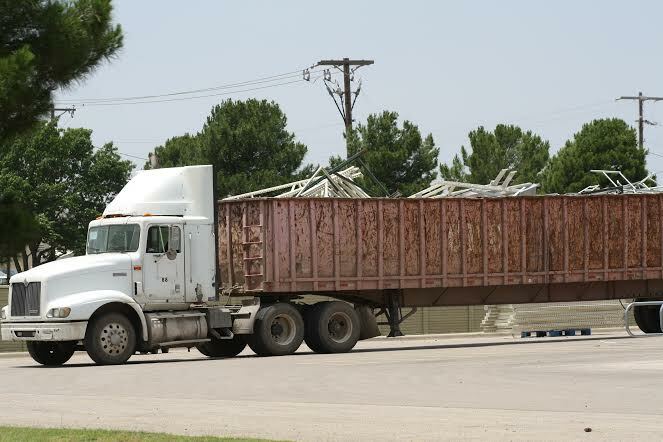 Fort Carson has been emptied out as the troops and equipment have been rolled out across Pinon Canyon destroying the land of private ranchers. 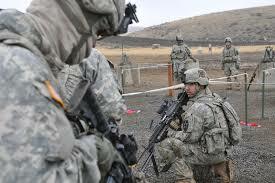 Speaking of Ft. Carson, this picture and the one above it depict Russian soldiers at Ft. Carson. The Russians and other foreign troops (e.g. 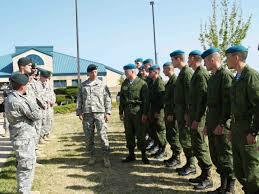 Germans, Canadians, Danes) are part of Jade Helm. 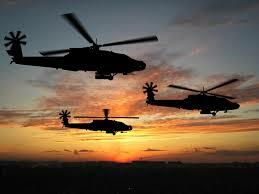 They are here to carry out the mission should American troops stand down. 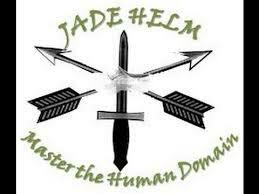 Throughout the four month investigation into Jade Helm an unmistakable and very disturbing development began to surface. 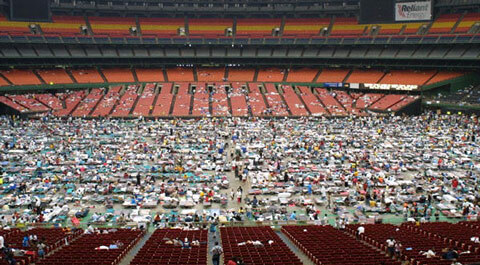 DHS and FEMA have no shortage of facilities to house American dissidents in what Bill Ayers, the man who launched Obama’s political career, called re-education camps. From the air, the guard towers stick out like a sore thumb. The Twin Peaks Marana mall. The only thing missing is customers. Speaking of customers, please note the desolate area the mall was constructed in. Where will the customers come from? They will come from the ranks of the enemies of the state (i.e. former Ron Paul supporters, constitutionalists, Libertarians, Bible-believing Christians, Second Amendment supporters (see the MIAC report). We discovered that some schools have some very unique security features and would make ideal detention facilities. 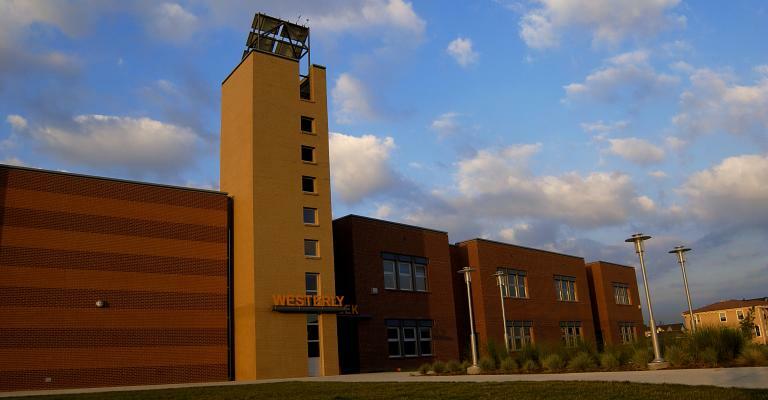 Why would anyone send their child to school in this detention facility? 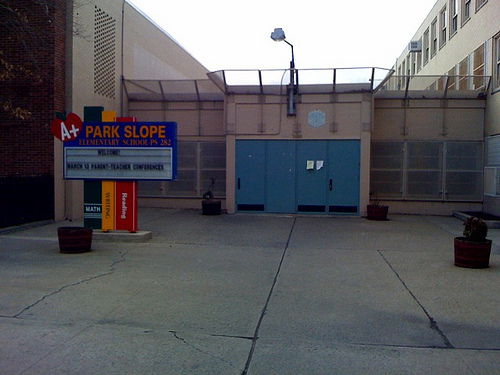 A Denver Metropolitan school complete with a Marana mall type of guard tower. 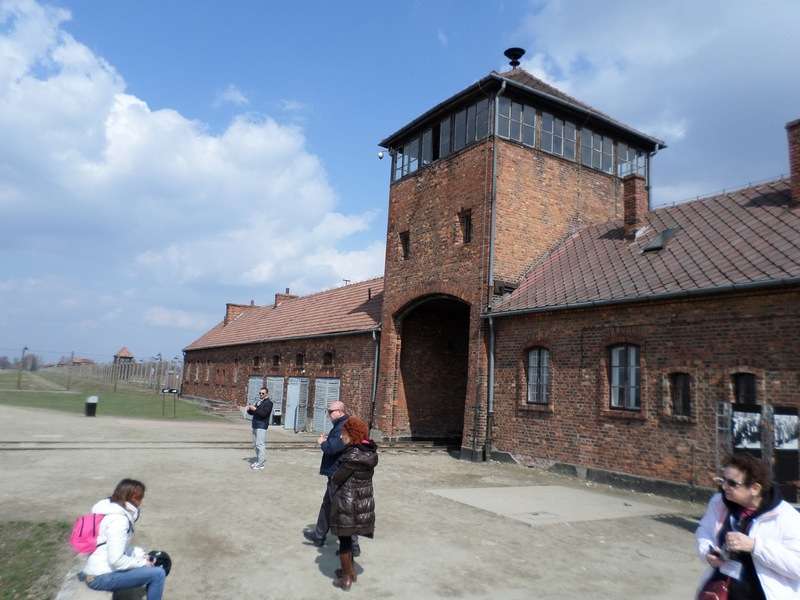 These schools kind of look like this Nazi concentration camp. And the sheeple’s children are being conditioned. 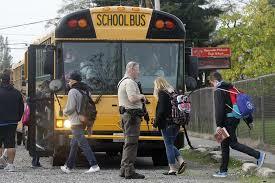 In thee bus evacuation drills, where will they take the children? 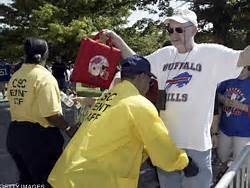 And if you go to a sporting even of a major league sport, keep in mind, this is what you are likely to see. The conditioning of the sheep. Will Jade Helm 15 Go Live? Nobody in the Independent Media can answer that question for sure. However, what can say for certain is that this administration is not allocating these kinds of resources, both in men and material, if some version, future or present, was not seriously being planned for. So yes, we will see these activities carried out on American soil unless we can convince our troops to stand down and not carry out illegal orders to act with vengeance toward the American people. Yesterday, my family went to Sea World. 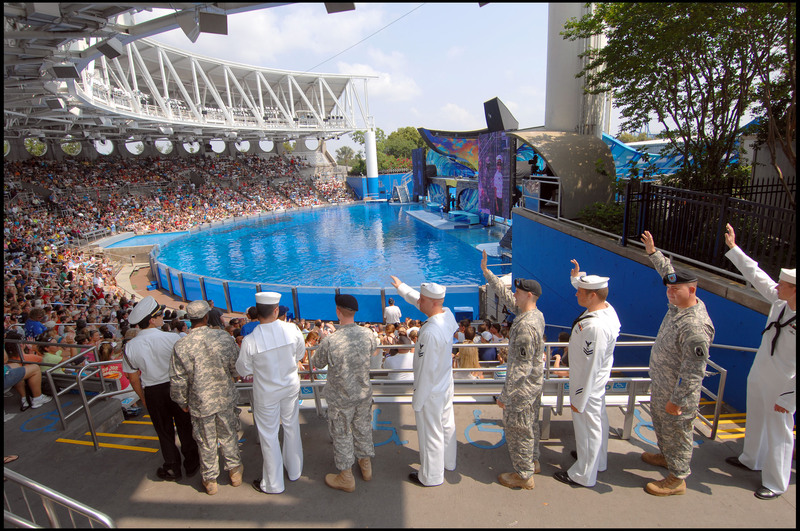 One of the remarkable things that I saw was the honor that the theme park bestowed upon the active duty military and veterans in attendance. I grew up in a military family and have decided bias in favor of our troops. They are willing to do what most of us do not have the courage or ability to do. Americans may detest our foreign policy, but overwhelmingly, we love our military. To any active duty military I say this to you. Your country loves you and respects you. Do not betray our trust. 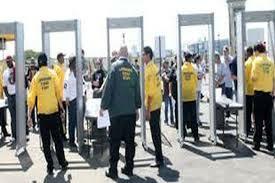 When the time comes, say NO to any illegal order that would put your fellow Americans in jeopardy. If you do so, you will find the American people will stand with you. We live in very perilous times. We need to be united. As has been said before, we either hang together, or we will surely hang separately. This entry was posted on July 15, 2015 by conspiracyanalyst in Civil Unrest, Martial Law, New World Order, Societal Collapse, Society, US News and tagged Jade Helm 15, Martial Law.